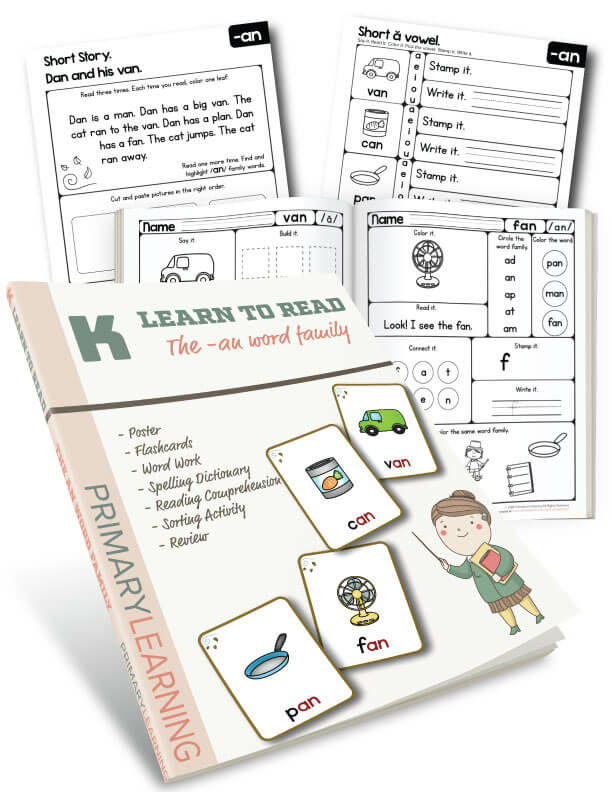 With this workbook, kindergarten kids master their phonics skills. 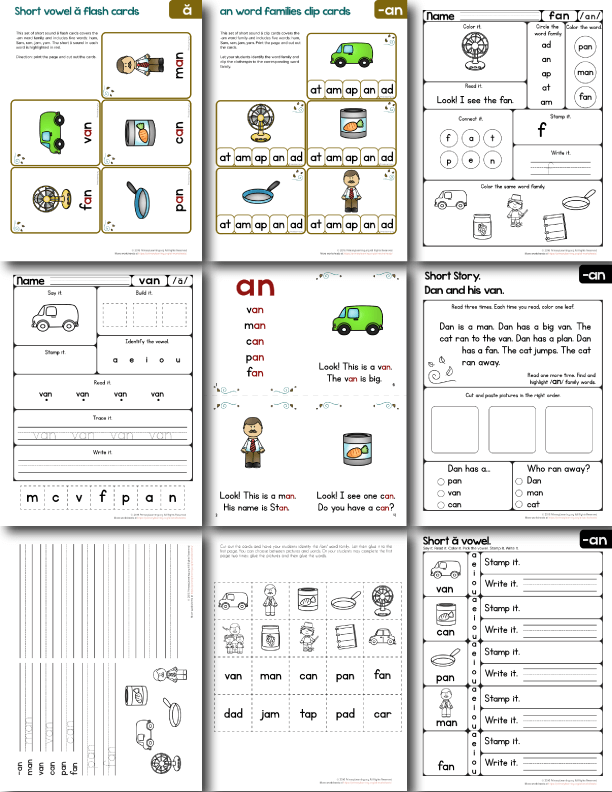 Students expand their vocabulary, learn to read and write the short a words from the an word family in an active and hands-on way. The workbook combines 13 hands-on worksheets and activities for independent and guided learning. Reading. Students learn to read CVC words, isolate the short vowel sound and determine the word family. Reading comprehension. After reading children asked to sort pictures in the right order and answer few questions. Writing. Students learn to build words using different materials, practice spelling and writing. Creativity. Kids encouraged to color CVC words pictures and draw their own. As well practice fine motor skills and perform a sorting activity.